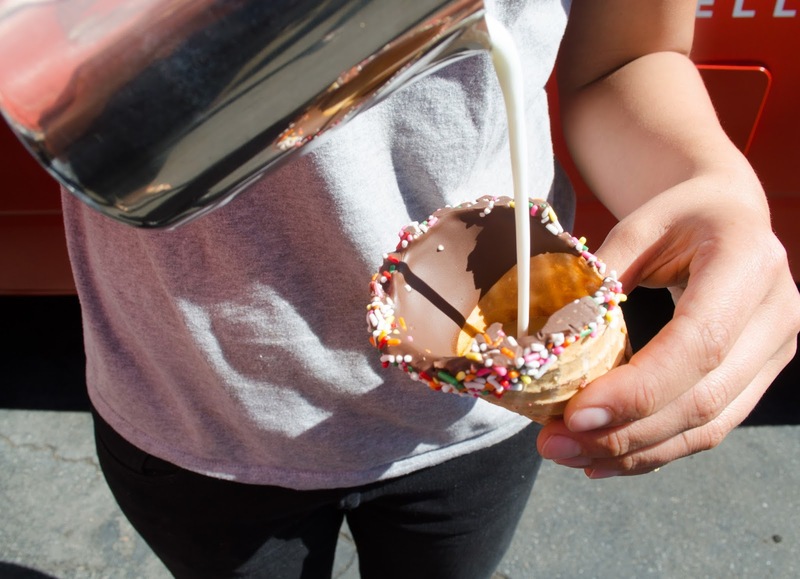 Coffee in a cone is 'a thing' over in Johannesburg, South Africa. I recently wrote an article all about it for Food Hacks Daily that covers the trend. 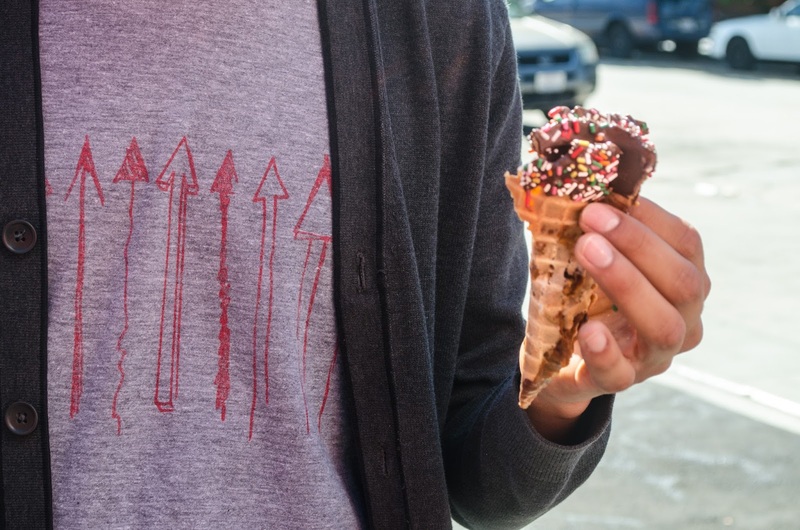 By trend, I mean that nearly 2,000 Instagram users shot an "artsy" picture with their iPhone and tagged it #coffeeinacone. This was enough to convince me that I too could acquire my very own photo of coffee in a cone to hashtag on my Instagram account. 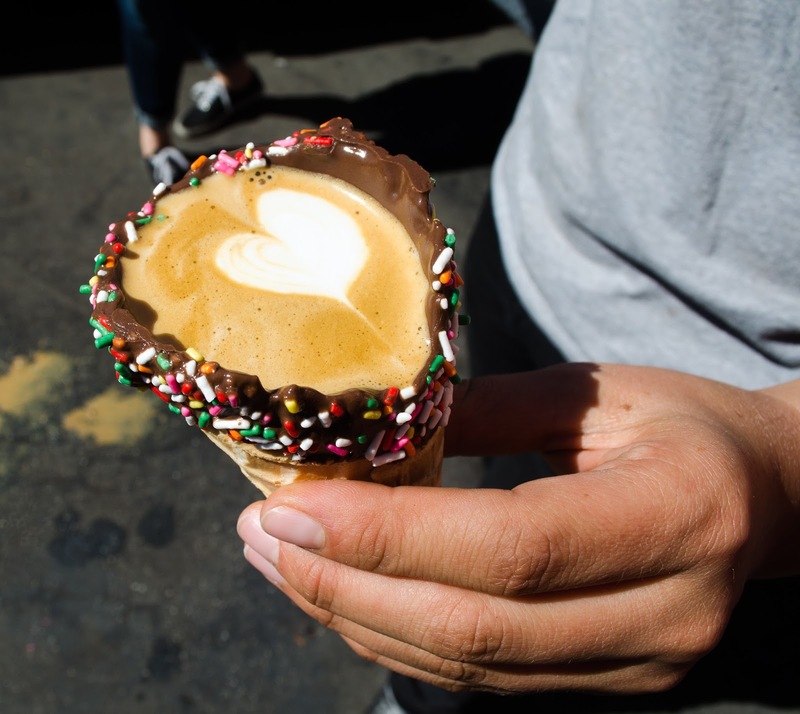 As cool as it would have been, I can't drop everything to travel to Africa for a picture of coffee in a cone. However, with access to an espresso machine through work and great co-workers to help me out, I got my picture all right (oh, but I definitely "dropped" something in the process). 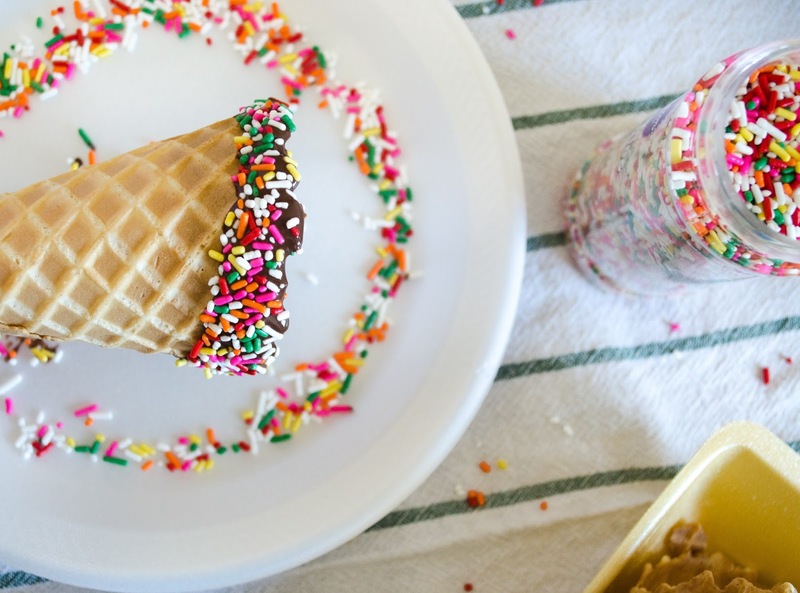 I spent a Sunday morning dipping waffle cones. I took my time. They were perfect. Colorful. Ready to be poured into. They would make history. 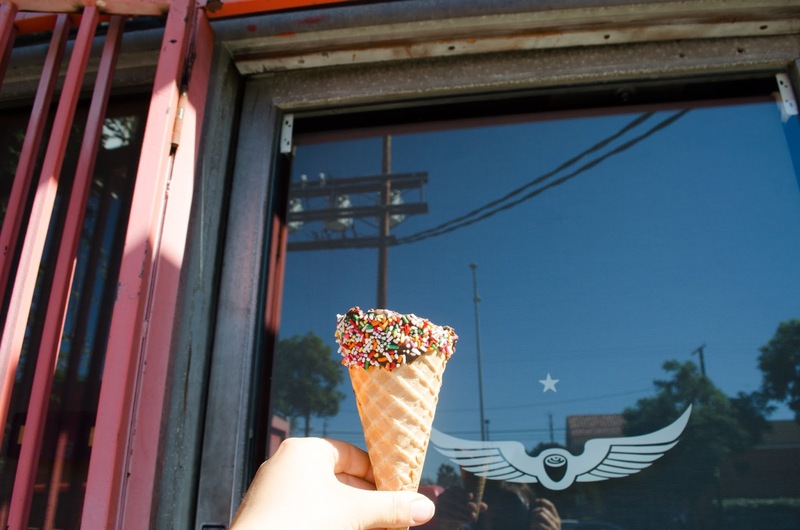 I packed up my perfect little cones and brought them to work, where the magic would happen. Magic happened alright. Magic that could have been avoided by me reading through an article before pouring lattes into a cone. 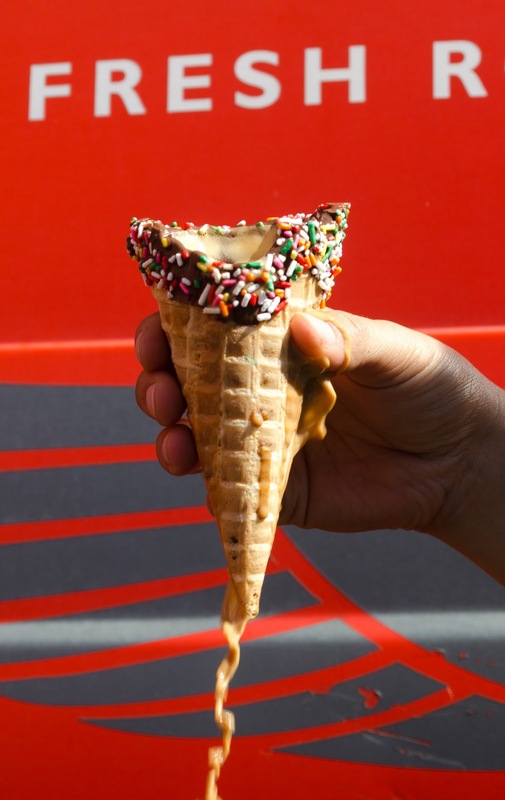 If I had done my research, I would have known to coat the inside of the cone entirely before pouring any sort of liquid in. 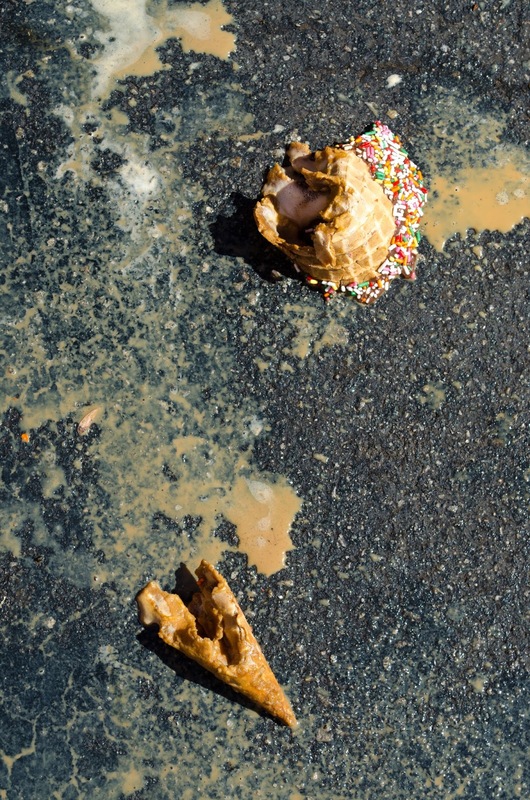 I also wouldn't have found myself laughing hysterically at the mess we made outside of the Intelligentsia Roast Works. a steamy pitcher of whole milk. 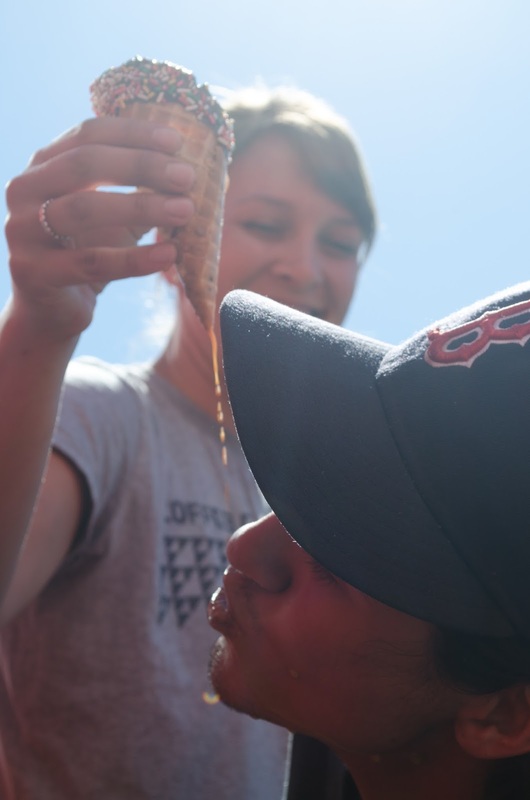 a coffee in a cone. Adults don't cry over spilled milk, but man do they swear like a sailor over a spilled cup of coffee. *Special thanks to Sarah, Courtney, and Art for sacrificing the cleanliness of their shoes to pour latte cones with me.